Tsvetan Sokolov is back in the gym with Lube Civitanova and training again on the court. The team (those who were not training with national teams in preparation for the World Championships) got back together to start training on August 20, 2018. Sokolov had been working out in the exercise room for three weeks prior. On August 18th he posted a video of him back on the court and training with a volleyball through his Facebook page. Recall that Sokolov had been playing injured for Lube throughout the last portion of the season. He knew going into the finals of the Italian SuperLega and the CEV Champions League that we would be facing surgery. That surgery took place on June 4, 2018 and repaired the patellar tendon in his left knee. While he may be back on the floor training, do not expect to see him in matches any time soon. 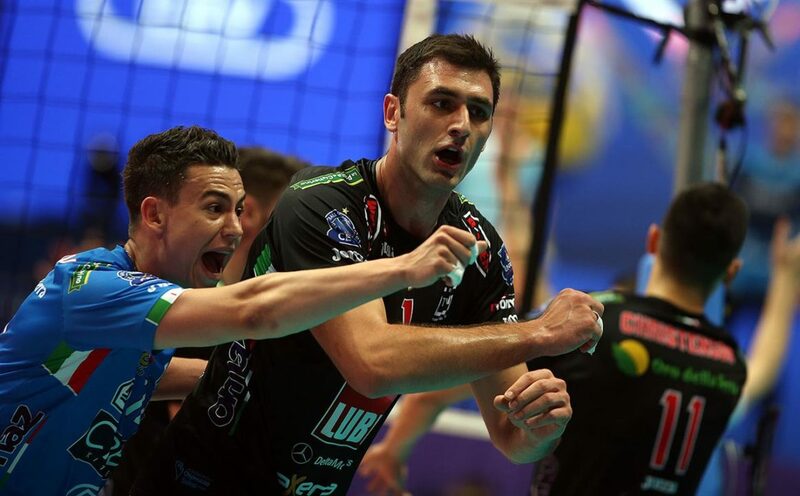 He will miss the World Championships and the beginning of the season for Lube. It is looking like it will take 5 or 6 months for him to fully recover and be fit enough to appear in matches. Though he is about 2 weeks early of the 3 months they initially said it would take before he could start training on the court again. Lube signed Robertlandy Simon this summer to help in Sokolov’s absence. Simon is expected to start the season at the opposite position, a position he played while in Korea. Once Sokolov is healthy, Simon is expected to move back into the middle.